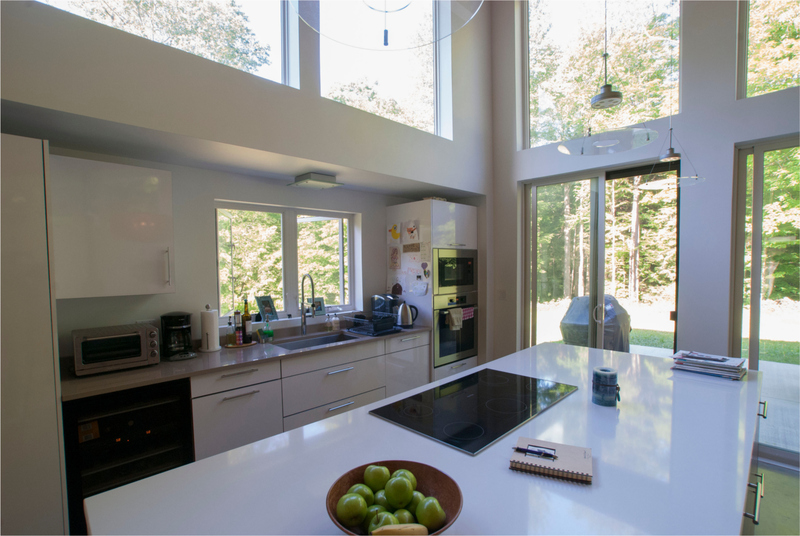 The open plan cabin interior, featuring a white countertop island and a wall of windows and sliding glass doors. 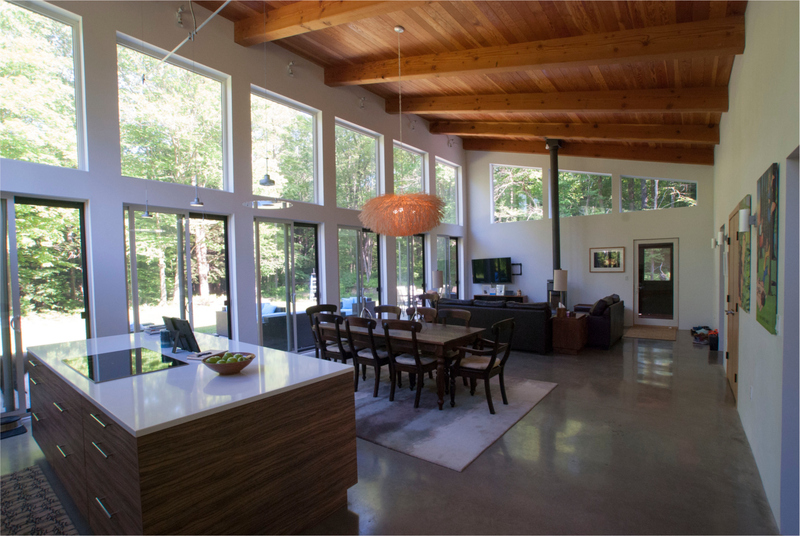 The open plan living area with a soaring shed ceiling and polished concrete flooring. 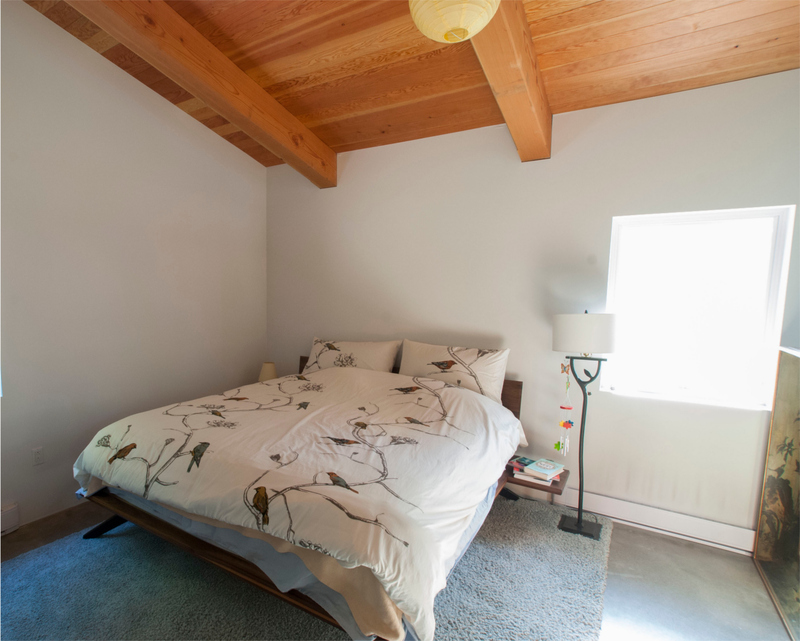 A light-filled bedroom with the sloped, Douglas fir ceiling. 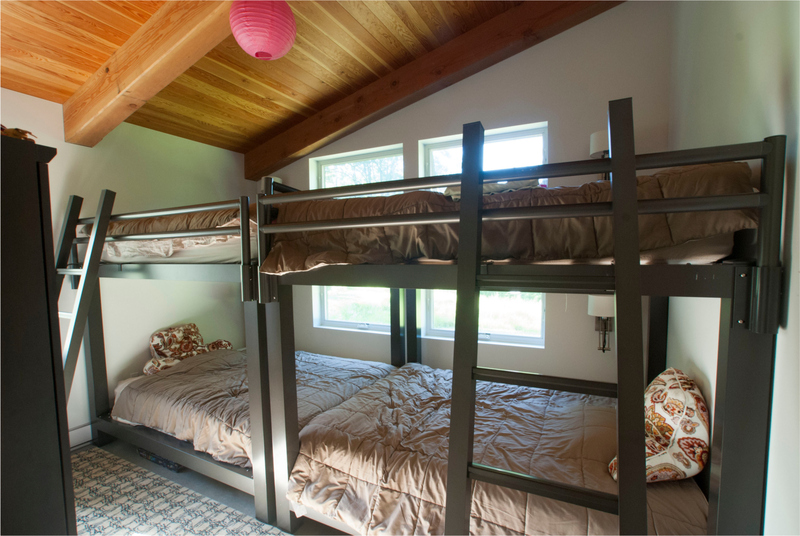 A bedroom of dual bunk beds. A young family desires a simple house in lovely setting in Allegheny State Park that is a glowing beacon in the woods. 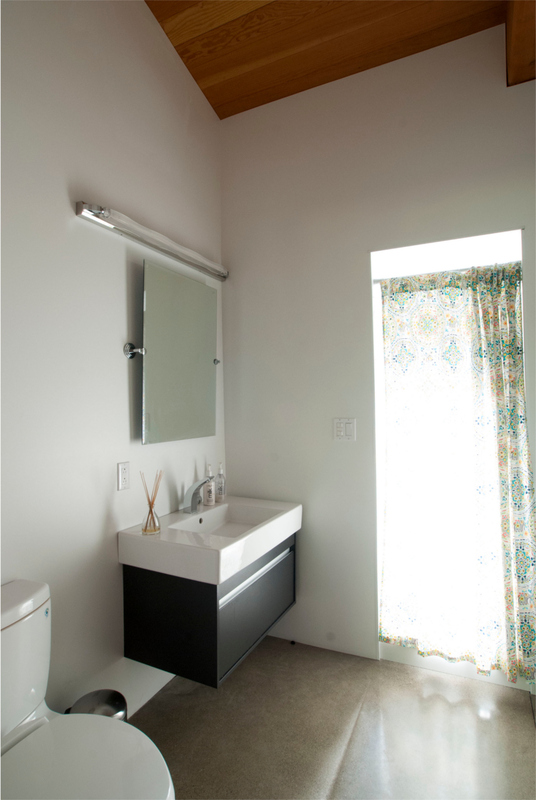 The Allegheny Cabin is a compact, three bedroom, two bathroom, slab on grade house that totals 1,553 square feet and is complete with contemporary furnishings and a screen porch off of the living room. 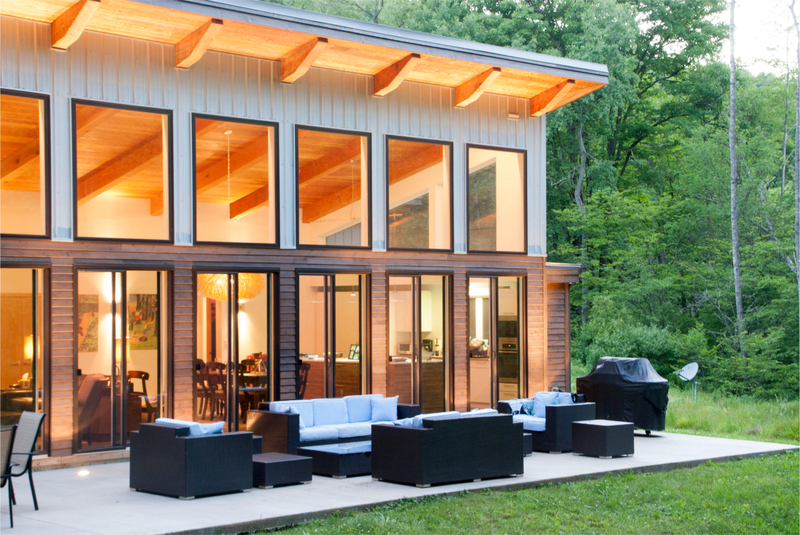 The timber frame features a soaring shed roof that transforms the floor plan to a cozy, sun-filled space with an open floor plan for the living, kitchen, and dining rooms. 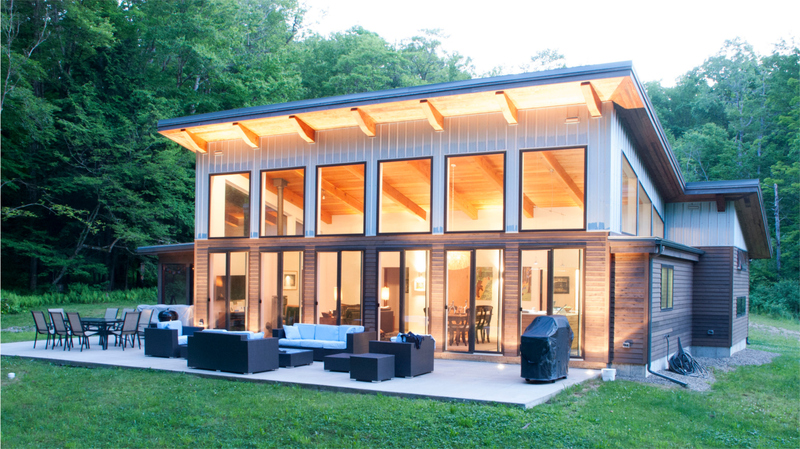 The terrace side wall is loaded with doors and windows and the space has concrete polished floors and a contemporary wood stove in the living room. 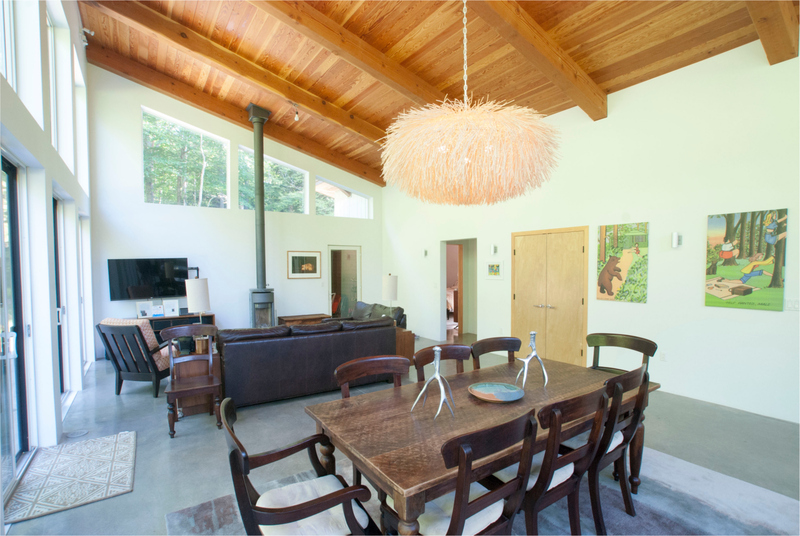 The wood ceilings are Douglas fir tongue and groove timbers which warm the space and keep the scale manageable. The exterior features vertical metal and wood siding under a standing seam metal roof. The roof height at the front of the house is about 18 feet while the back is 9 feet, so it doubles in height as it ascends.